This scholarly work traces the mysterious Fraternity of the Rosy Cross, from its inception upon the discovery of Father Christian Rosenkreuz's perfectly preserved body in a seven-sided vault to present-day organizations in America. McIntosh includes a survey of Rosicrucianism in America, exploring the latter day survivals of Bacon's New Atlantis. 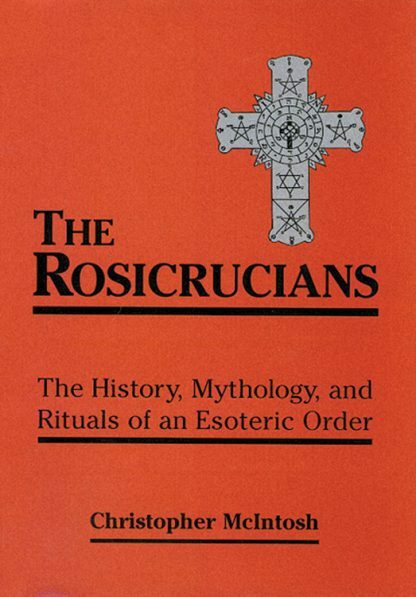 Perfect for students of the Western Mystery tradition who want an introduction to Rosicrucianism, with good resources for further study. Christopher McIntosh is a writer and historian specializing in the esoteric traditions of the West. He was for several years on the faculty of the Centre for the Study of Esotericism at Exeter University. He is the author of many books including Gardens of the Gods. He holds a DPhil in history from Oxford, a degree in German from London University, and a diploma in Russian from the United Nations Language School. Christopher has a long-standing interest in nature-oriented belief systems and in particular the Nordic Heathen movement. He lives in Lower Saxony, North Germany.